Are you freezing in your premise in winter? Suffering from hotness in summer? Or having not enough fresh air all year round? 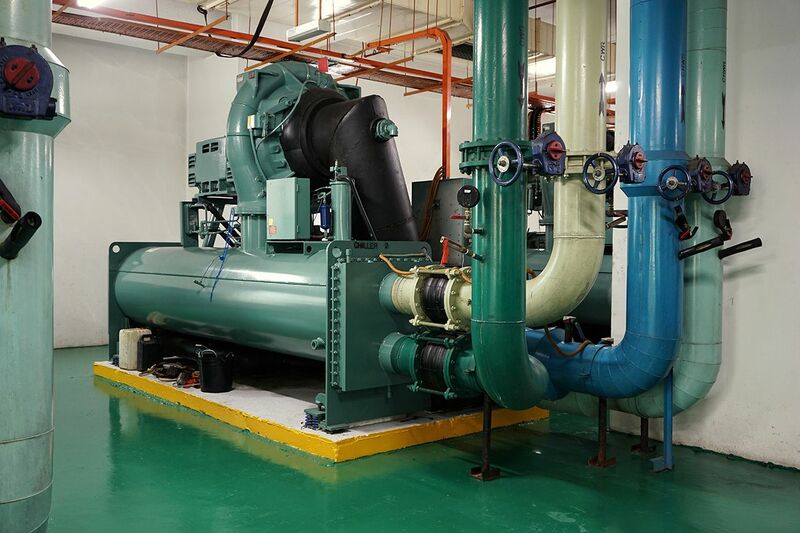 The solution is the installation of the right commercial heating system in your commercial premise and contracting with the right HVAC contractor to ensure the yearly low-price effective and professional maintenance of it. The heating, ventilation, and air conditioning systems are collectively named HVAC. Several types are used for commercial purposes, which installed in all types of commercial buildings and premises. You, as a landlord and owner, must run them properly in order to ensure the good working conditions of all your tenants, clients, and self. Are one of the most eco-friendly and long-running types of commercial heating systems. Despite the relatively high installation cost, they are able to lower down the yearly utility bill twofold if continuously operated. They don’t use fossil fuel. They operate as heaters for water running in pipes and radiators and fueled by oil or gas. One of the oldest types of commercial heating units, they are most widespread and cheap in exploitation and their KPI is about 90%. They heavily rely on fossil fuel such as gas, oil, charcoal; sometimes, wood. Relatively new type of heaters in California. They use the energy of the sun and geothermal power of Earth to operate. Eco-friendly and effective all year round in the sunny state of ours, the only drawback of those commercial heating & cooling units, for now, is high installation cost. They also have a long lifespan, low running costs, high safety, and low noise during work. Who may be interested in commercial HVAC? Your responsibility as the owner is to make sure the comfortable working and living conditions for tenants, providing all-year comfort for them and their clients. It is vitally important to plan and design the commercial heating and cooling, ventilation system(s) in a new commercial building during its general planning on paper. Selecting the right model of HVAC based on recommendations of the commercial heating and cooling company and further inclusion in the blueprints, the owner or manager of such a building provides the effective, newest, and most expedient type of commercial heating and air-cooling system, which optimizes running costs and lowers the yearly servicing price of it. But if it was not designed at this stage and building is already in operation, owners still may want to install HVAC on their object. We are glad to help you with this, choosing the most expedient one based on studying the building, the type of a running business in it, and the available budget. In order to optimize utility bills and lower expenditures for the commercial heating and cooling repair of HVAC, prevent failures of their operation, it is vital to organize the maintenance of your HVAC system on a regular basis. A+ Refrigeration Company is an excellent commercial heating contractor working in Santa Barbara and suburbs since 2006, who has got trust and high appreciation of hundreds of clients. These can lead to potentially dangerous situations like a high level of carbon monoxide in the air of premise, ignition of a spontaneous fire because of soot, or heater’s/furnace’s blow up. As the statistic says, 90% of all problems and failures may be avoided thanks to regular maintenance. We offer you our A+ efficient Maintenance Program, which will save your running and maintenance cost, costs for fixing your HVAC, and will prioritize all your other orders high in the queue of our company. Also, the reliability of your heating equipment will stay high, and its working lifespan will increase.Choose your maintenance plan today to become a more effective building manager! A+ Refrigeration company is a licensed HVAC contractor in Santa Barbara. Our main specialty is the maintenance of furnaces & their repair, boilers, heat pumps repairing and maintenance. All our employees are proven and rigorously verified professionals not only in repair but also in heating installation and service, who have done hundreds of projects and spent thousands of hours of working time. It is safe and reliable to work with professionals who know what to do rather than to try to make repairs on your own not knowing the subtleties of your HVAC equipment.